North Wales is rugged and untamed, its coastline is a mix of pebble beaches and wind-powered turbines in the ocean. Caravan parks, pubs and fun fairs adorn the small coastal towns that thrive on tourists crossing the border from England looking for North Wales beaches, sun and relaxation. Located on a prominent headland on the north coast of Wales, next to the town of Llandudno is The Great Orme. The Great Orme is run as a nature reserve with numerous walking tracks and wildlife such as mountain goats present. On top of The Great Orme, you will find amazing views of the Welsh Coastline in either direction. 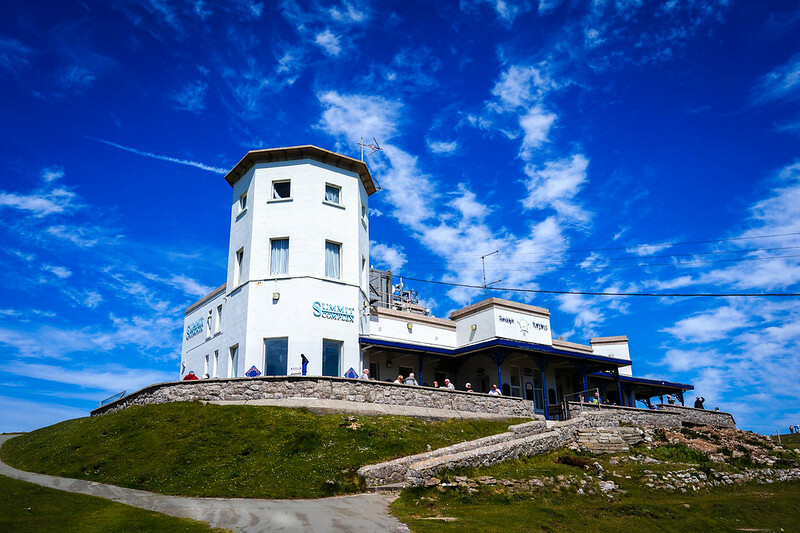 The summit at The Great Orme has a visitor’s centre where you can eat and have a coffee. The Great Orme has a station for the Llandudno cable car. The Llandudno cable car runs for a little over 1.6 kilometres. It is an amazing with some mighty views as you approach the famous Llandudno Pier. 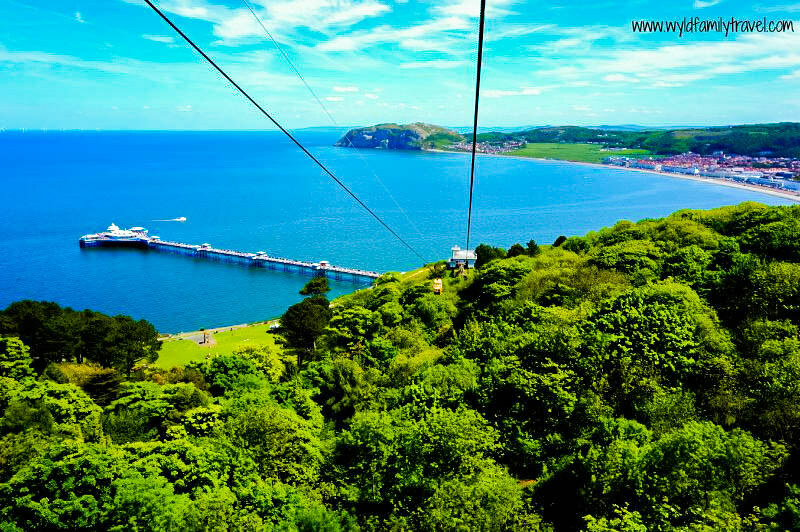 Opened on 30 June 1969 as the longest passenger cable car system in Britain, the Llandudno cable car is must do experience. We were extremely lucky the day we went sun was out and the sky was blue and you would have thought you were somewhere in the tropics. One can take a ride on The Great Orme Tramway. This is Britain’s only remaining cable operated tramway. The Great Orme tramway has been operating since July 1902. There is a halfway station were you must change cars. The station has a Great Orme Transway history exhibition that is worth a look. On the descent, you may want to consider walking down from the halfway station to take in the amazing views of the town and surrounding areas. You can visit The Great Orme mines. The Great Orme Copper Mine is the largest Bronze Age mine in the world. It was uncovered in 1987 during a scheme to landscape an area of The Great Orme. You get to explore underground and look at original mining tunnels that were dug out. We went through the Great Orme Mines the kids will love it, its exploring fun. Family Travel Tip: At the summit, there is mini golf and a playground for the kids to have some fun with. Our kids really loved the Cable car it was a real highlight for them. Dotted along the North Wales coastal towns like Rhyl and Towyn you will find fun parks that cater to the summer crowds that flock to the coast. One fun park in Towyn particularly has been a north coast institution for many years. For over 30 years Knightly’s fun park has been attracting holidaymakers. Knightly’s is more than just a fun park with rides and amusements. Knightly’s also features an arcade with games and bingo every day. The long bar and restaurant have budget meals and entertainment nightly during the peak seasons for the whole family. 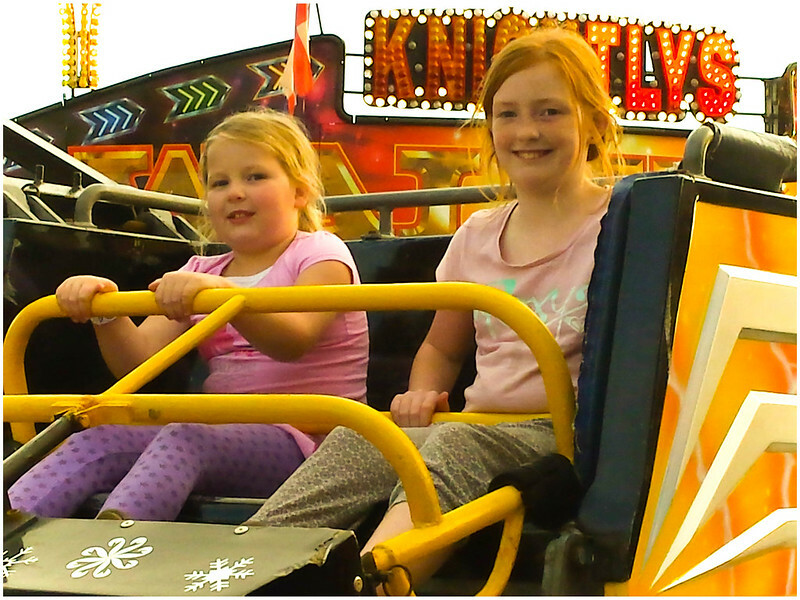 The fun park offers those wristband type entries that can be very good value for money where you pay one amount and go on the rides as many times as you like during a certain period of time. Family Travel Tips: Make sure you have a look around at the different fun parks in the area to see which one are suitable for your children. We went two parks in Towyn and one was considerably better for our children than the other. The Ty Coch Inn was voted the world’s 3rd best beach bar in a poll during the last few years. We first learnt about this place in an article rating it the 3rd best beach bar in the world! I remember thinking in Wales are they mad?! I was intrigued from that moment on. With a week in Wales planned on our 2015 trip, I put visiting this pub/inn right at the top of my list to see. I had to visit this place to see how a tiny bar in Wales could be number 3 in the world. Did I mention you can’t drive to this Inn, you must walk about 20 minutes through a golf course to reach the Tye Coch Inn? A small white sand beach greets you with fisherman and their boats unloading their catch for the day, people of all ages enjoying a beer in the sun and looking at bright blue waters of the bay. The Ty Coch is a sight to behold in a location to savour. The walk to the bar is the easy part it’s the walk back to cars up the hill after having a few pints that could be the problem. Amazing and highly recommended. Family Travel Tip: Food is limited at the Ty Coch Inn, they only serve food during certain hours other than crisps and icecreams. If you plan to spend the day or afternoon at the Inn bring food with you and a bucket and shovel for the kids to make sand castles on the beach. The Llanberis Pass (Welsh name Bwlch Llanberis) is in Snowdonia. The Llanberis Pass is the main road from the south-east to Llanberis, over the Pen-y-Pass, between the mountain ranges of the Glyderau and the Snowdon massif. 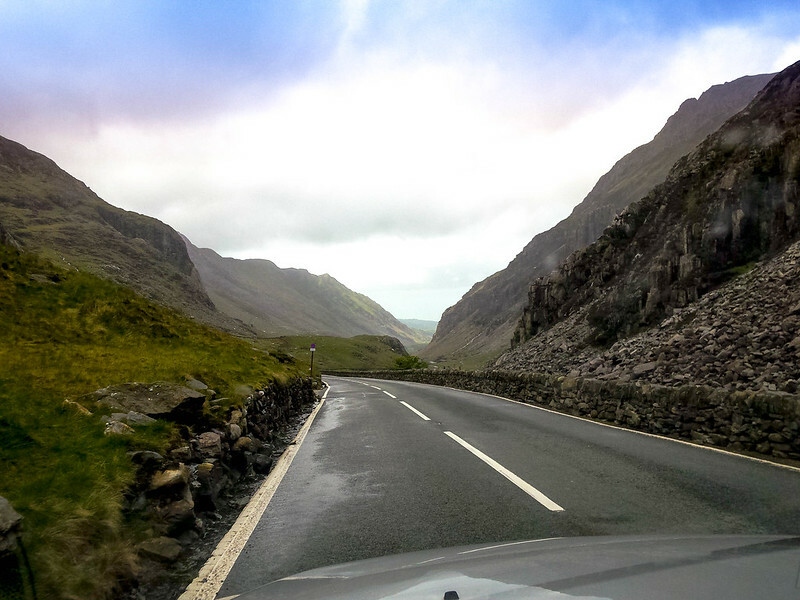 We travelled the Llanberis Pass on our journey from Betws–y–Coed to Llanberis. Betws-y-Coed is an idyllic little village set in the heartland of the Snowdonia National Park. The approach to The Llanberis pass through the lowlands of Snowdonia National Park is National Geographic stuff. Old stone house and fences, high mountains with low cloud, lakes and streams running down the hills. It is an amazing landscape that gives you that feeling that you have stepped back in time. No Holidays in North Wales are complete without seeing a castle. Castle visiting is one of the top North Wales activities for visitors. King Edward the 1st of England went on a castle building spree in the late 12th century. There are over a dozen castles from the reign of Edward and his father in North Wales. The castles were built to intimidate and control the Welsh people keeping them under tight English rule. These castles are in varying conditions from total ruin to totally preserved. 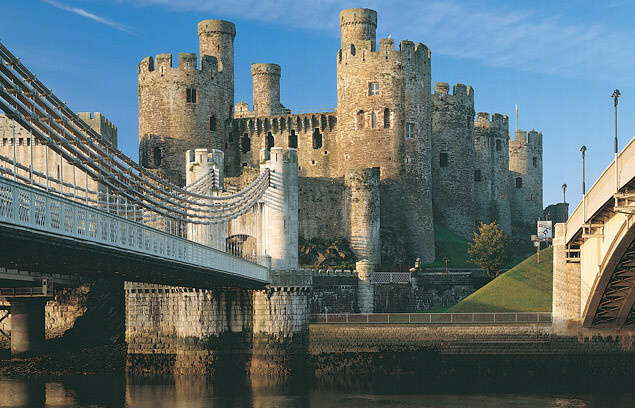 UNESCO described the castles of Beaumaris and Harlech and the fortified complexes of Caernarfon and Conwy as World Heritage sites under the title of Castles and Town Walls of King Edward in Gwynedd. These four castles and others such as Rhuddlan are a castle’s lovers dream. The castles built in the medieval times are characterised by the huge defensive walls. The site of Conwy Castle on Colwyn Bay Conwy United Kingdom is just about my favourite castle in the whole world. The scale of its walls is amazing. What a site it would have been with soldiers standing Guard and the King receiving guests in the great hall. 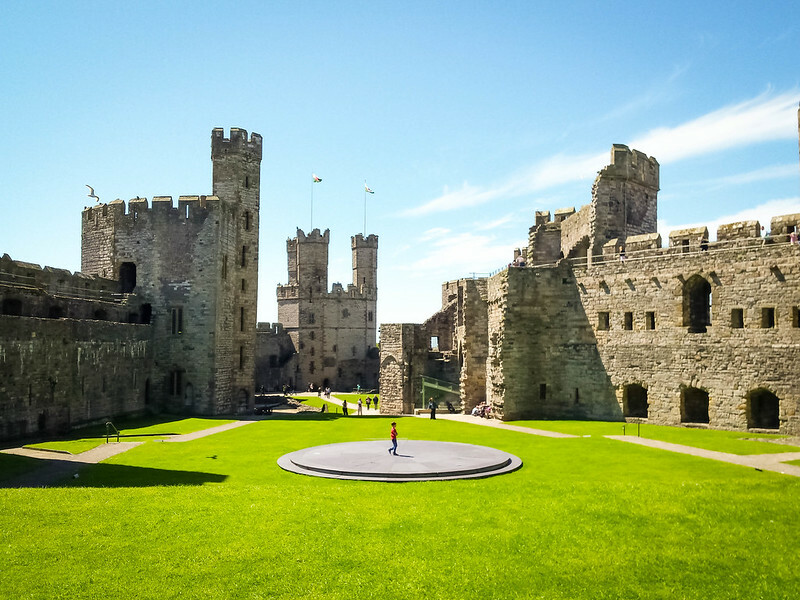 For more detailed information we have visited Conwy, Caernarfon and Rhuddlan click to read full posts on these castles. We hope this inspires you to visit this amazing part of Great Britain. I am sure you can find some amazing places to visit and plenty of Noth Wales activities to do. You can pick up a rental car at Manchester Airport and Liverpool Airport. From London take the M6 motorway then the M56 towards Chester. By Train, the North Wales Main Line is the railway line from Crewe to Holyhead. North Wales has lots of Options from Caravan Parks, Hotels, Resorts and Home Stays. Mark Wyld is a father, Husband and traveller. Having been to over 30 countries worldwide I think I know a thing or 2 about travelling with kids. I have been writing about travel on our website for the last 4 years and have featured on numerous other websites. When I am not talking, dreaming and planning travel I can be found working in disability support. I would totally love to visit the castles! Thanks for sharing! I’ve only been to South Wales a couple of times. I’ve heard North Wales is even more beautiful. Can’t wait to get to Snowdonia – these castles look very cool too. The landscapes, the castles – it looks stunning. I really need to spend more time exploring these parts of the world. What would you reckon is the best time to go? I was in Cardiff recently which has inspired me to visit Wales more, it’s a lovely place! I’m planning a trip to the Gower peninsula and the Brecon Beacons but this is making me want to venture further north! Have you been to the village with the really long name? What an awesome mix of activities you’ve laid out here. Great job! The landscapes there are incredible. Not at all what I expected! I have not seen Wales but its on my list. Castle of course is stunning. Would love to visit soon. I was planning to do a trip to Wales by the end of May, but probably going to the South first. However, after reading your article I think I should take a second trip and explore the North as well! Llanberis Pass and Snowdonia National Park would be gorgeous to see and I’d love to visit those castles! I’m a total history buff and my imagination tends to run wild when I’m surrounded by the medieval walls of a castle and its walled defenses! I think the whole UK looks so inviting. Those castles look very inviting. Wouldn’t it be great to spend a night there! North Wales sounds like my kind of place, Mark, with its rugged, scenic, historical locations . . . and did I hear you say waterfalls? I would love to road trip the coastal towns and Llanberis Pass, and don’t even get me started on the potential to visit UNESCO World Heritage castles. Okay, I’m packing my bags now! My favorite on the list was the Llanberis Pass. All looks amazing, but the pass looks like a photo opp dream! We were just in Wales a few months ago for Christmas. Would have loved to visit all these sites but the weather was being unforgivable! Rain almost daily-we did however get a few nice days by the Gower. I’m hoping to take a trip to North Wales at the end of May (over the late May bank holiday if it’s not too late!). As usual, haven’t done much research, so thanks for kickstarting the planning! I am so guilty of not appreciating my home country – and posts like these just remind me of my failings! 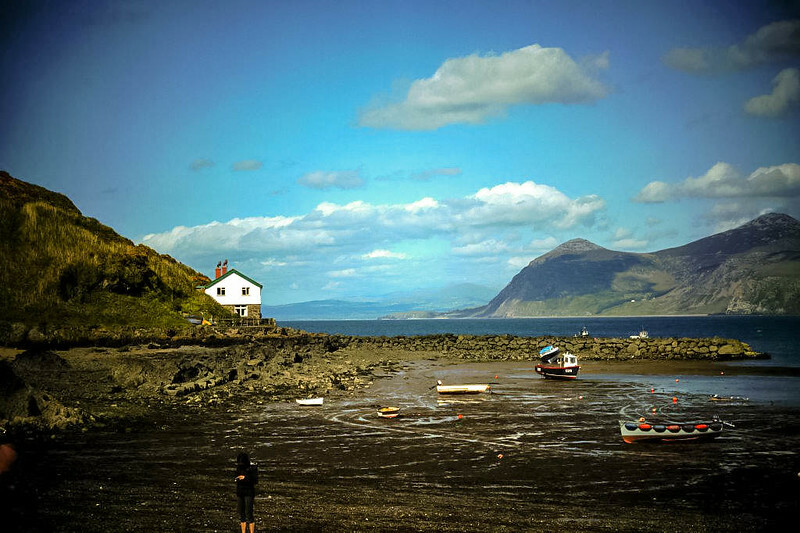 I lived about an hour from North Wales back in the UK and never visited – and it really looks like I missed out! The view from The Great Orme is simple stunning and waking up to the view from Ty Coch Inn would be incredible! 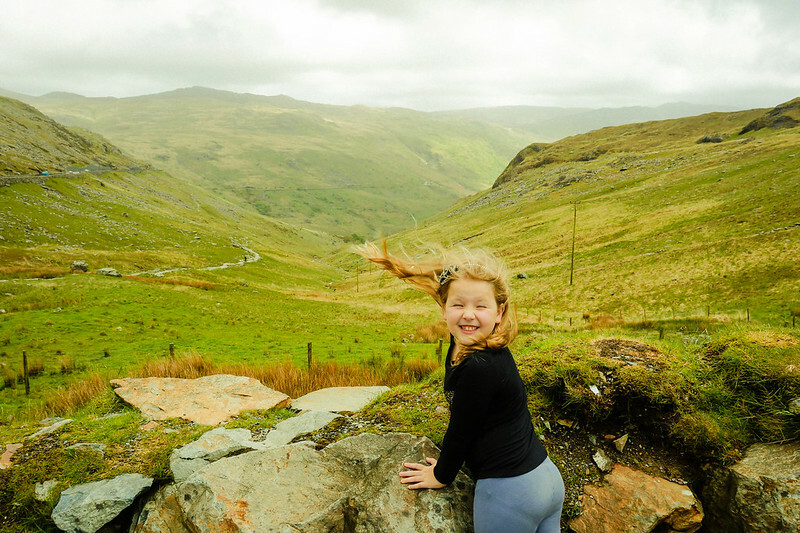 Loved the Llanberis Pass photo – she’s so adorable. I’ve been thinking about visiting Wales this summer, this post really put northern Wales in the spotlight. I lived in North Wales until I was 18 and my family all still live there… highlights for me are the Sychnant pass between Conwy and Penmaenmawr and Aber Falls between Llanfairfechan and Bangor. Both great areas to walk. I was actually born in Bangor but haven’t been to Wales since I was very young. It’s nice to read about some of the highlights and hopefully in the next year or so I’ll make it there and see some of these places myself. Thanks for sharing and your suggestions.